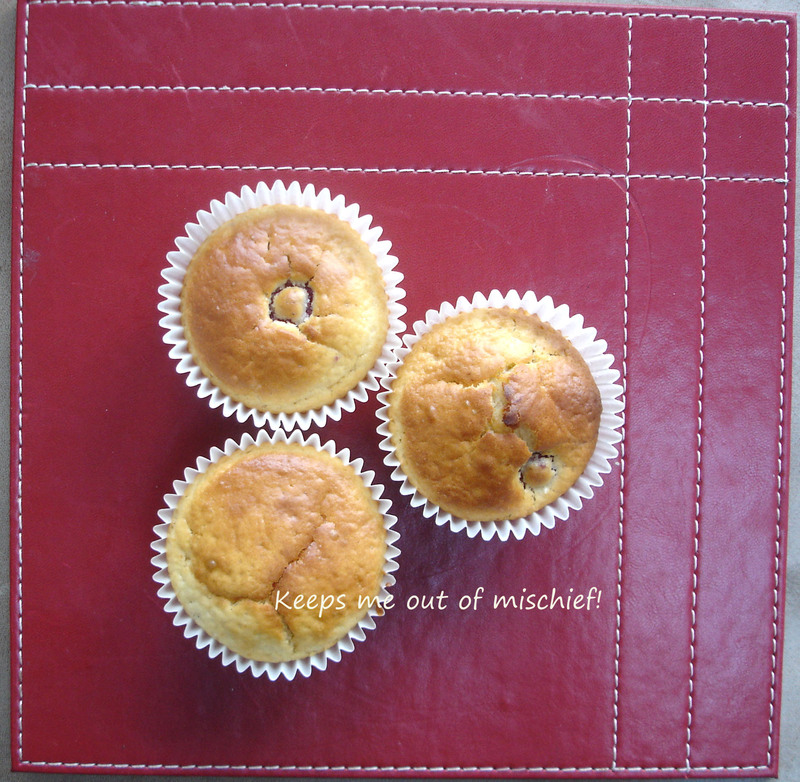 Raspberry and Lemon Muffins | Keeps Me Out Of Mischief! I’ve started getting a fruit and vegetable box delivered again from Riverford Organic Farm. I used to have a weekly box from them but then we had lots of building work done on the house and I didn’t have a proper kitchen for about two months it was hideous so we stopped it and never got round to restarting it until now – all part of my new year resolutions to get organised, do more of my food shopping online and to eat more healthily. I make two sets – January ones like normal people and September ones, like every other school teacher I know! There were some lovely goodies this week in the box – courgettes, leeks, chard, a savoy cabbage (not so lovely, but my mum will enjoy it!) green beans, grapes and raspberries. It looks so nice and fresh when it arrives covered in mud and it all tastes fantastic – not full of water like lots of the stuff I used to buy from supermarkets. The raspberries were gorgeous and I managed not to eat the entire punnet in one sitting but save some for these Raspberry and Lemon muffins! I’ve adapted this recipe from ‘Cupcakes and Muffins’ by Ann Nichol. Preheat the oven to 200°C/ 400°F and line a deep 12 hole muffin tray with paper cases. Now be really gentle and add the raspberries and mix very, very gently, otherwise they’ll turn to mush, which would probably taste good but not look very pretty when they come out of the oven. Bake for about 20 minutes until firm and a skewer stuck in the middle comes out clean. Cool on a wire rack. I love this flavor combination. YUM! Me too; it’s such a fresh tasting combination. Yum…I love anything with lemon in it! I’m going to try this one!